Eight years out from its concept debut at the Frankfurt Motor Show, BMW today has finally pulled the sheets off of its production i8 Roadster. And it was well worth the wait. 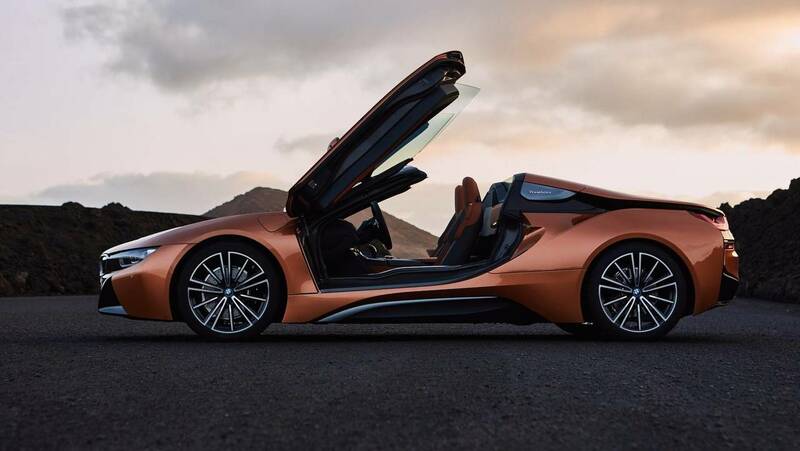 Complete with a stunning soft-top design, a handsome new E-Copper metallic finish, and a two-seat layout, the i8 Roadster is the hybrid convertible we’ve been waiting for from the German marque, at least on paper. 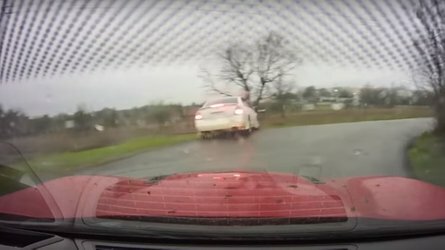 With the ability to open and close in less than 16 seconds at speeds of up to 31 miles per hour (49 kilometers per hour), the electronically operated soft-top is one of the most advanced of its kind. The aluminum connecting mechanisms were sculpted entirely using 3D printing to ensure overall accuracy, and additional soundproofing was added to provide as comfortable a ride as possible. 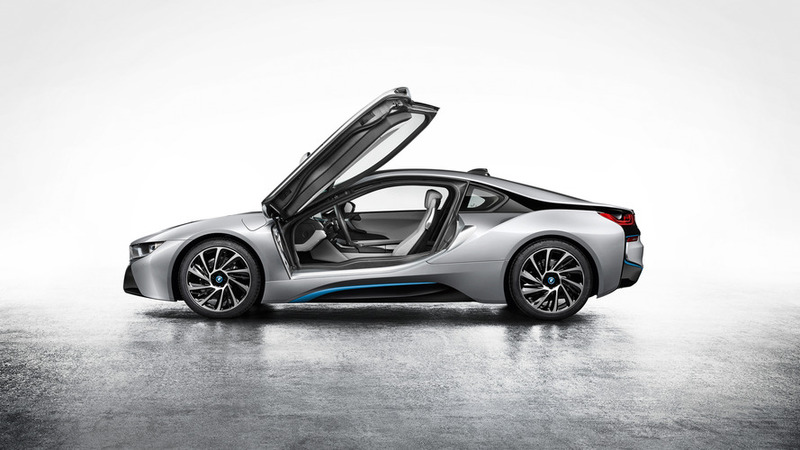 The all-season fabric roof stows away neatly into a perpendicular position in the rear, and though it does does take up enough room to force BMW to ditch the backseat entirely, the i8 Roadster comes with plenty of added storage. Additional cargo compartments between the roof box and the seats add around 3.5 square feet of storage. Combined with the larger rear storage area, which itself encompasses 4.7 square feet, BMW promises that you won’t miss the back seat much. 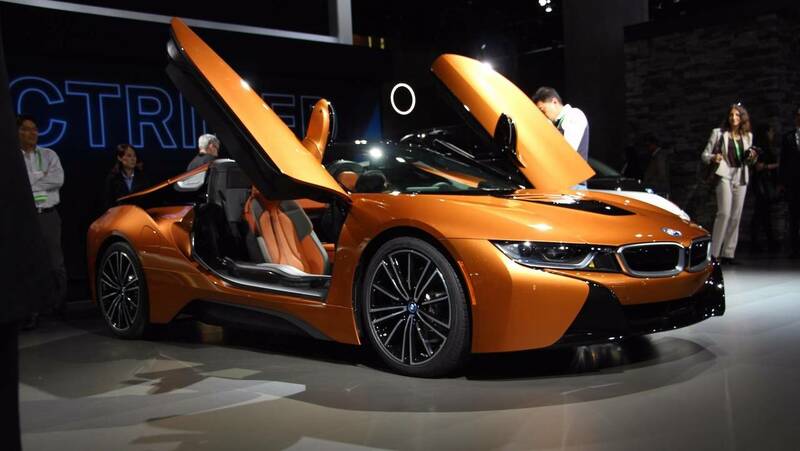 Along with a removable top, the i8 Roadster is more powerful, too. 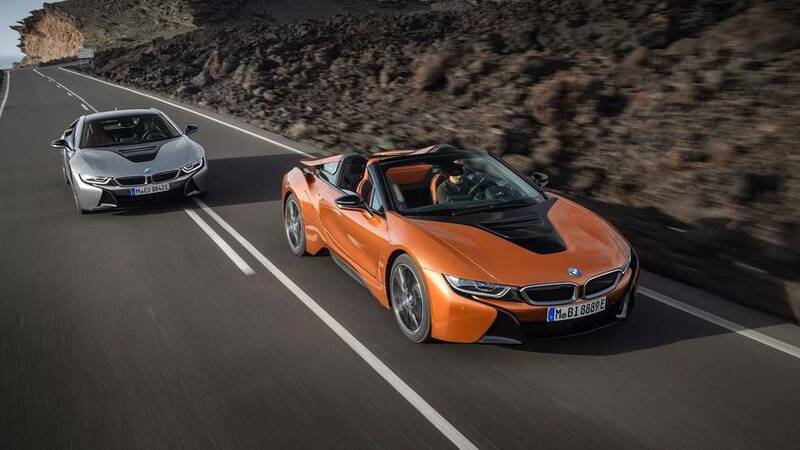 Thanks to a rigorously developed new BMW eDrive system, atop a lightweight LifeDrive architecture design specifically for BMW i models, both the 2019 i8 Roadster and i8 Coupe deliver a combined 369 horsepower (275 kilowatts), 12 more than the outgoing model. 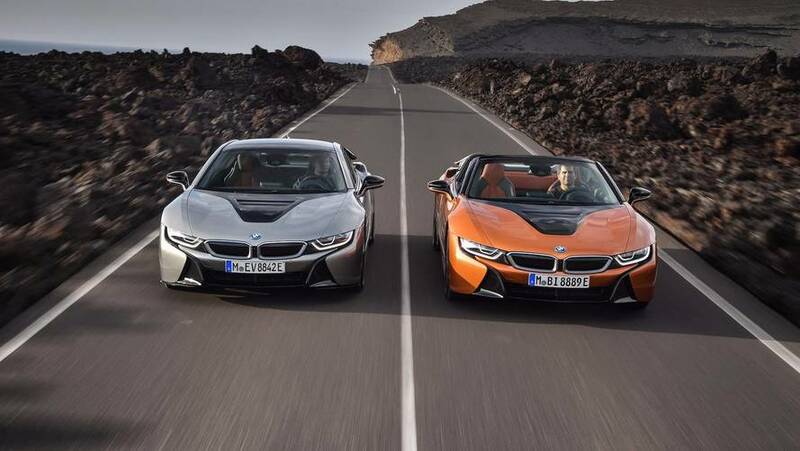 The i8 Roadster tips the scales at just 3,513 pounds (1,593 kilograms), a mere 132 pounds (60 kilograms) heavier than the coupe. 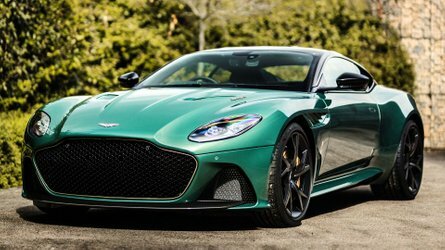 The larger 11.6-kilowatt hour battery pack replaces the outgoing 7.1-kWh unit, and combined with the electric motor delivers 141 hp (105 kW) and 184 pound-feet (249 Newton-meters) on its own, with 18 miles (28 kilometers) of pure electric range, and an overall range of 70 MPGe. The three-cylinder turbocharged gas engine, meanwhile, is good for 228 hp (170 kW) and 236 lb-ft (319 Nm) of torque. 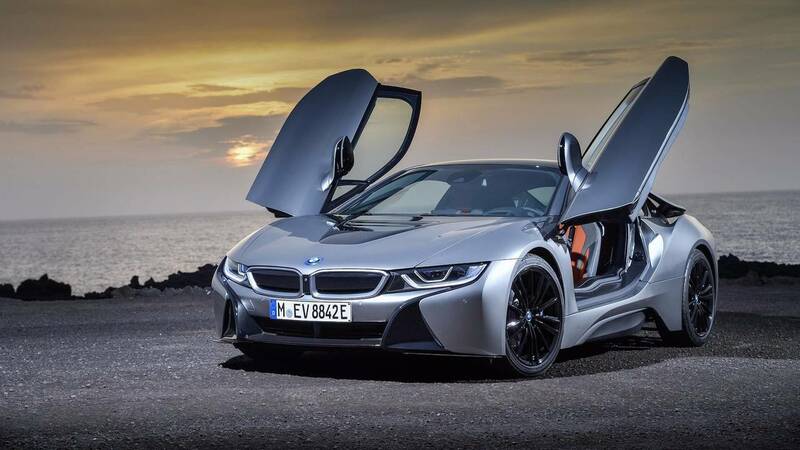 All that newfound performance gives the i8 the ability the sprint to 60 miles per hour (96 kilometers per hour) in just 4.2 seconds as a coupe, and 4.4 seconds as a convertible, with an electronically limited top speed of 155 mph (249 kmh). Power is sent to all four wheels, of course, and five different driving modes are available to choose from: hybrid drive with Comfort, Sport, and Eco Pro, and all-electric driving with Comfort and Eco Pro. 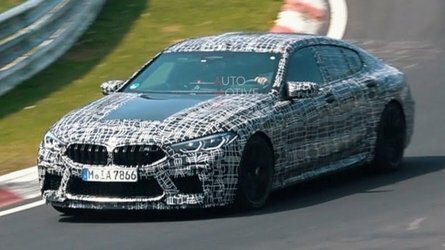 With new power also comes an updated design, specifically the lower hood, the slightly larger BMW kidney grilles, and a flat underbody. Paired with BMW's "stream flow" air ducts, located between the rear lights and the roof frame, air is guided effectively over the body. A new E-Copper finish has been added, as mentioned, as has a Donington Grey metallic on both the Coupe and Roadster. A set of 20-inch BMW i lightweight alloy wheels come standard in a Radial-spoke bicolor design, and are a whole 2.2 pounds (1 kilogram) lighter than the lightest offering on the outgoing model. Buyers can also opt from up to four other lightweight options with the same dimensions. 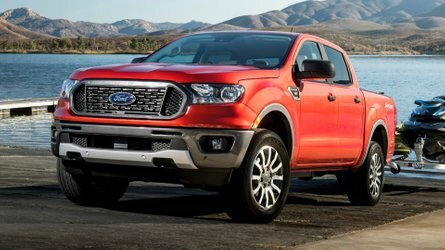 The most significant update to the cabin, other than the departure of the rear seats in the Roadster, is the inclusion of an updated sports steering wheel, a multifunction instrument display, and an 8.8-inch freestanding touchscreen control. A Giga interior trim comprised of a full-leather upholstery in Ivory White for the Coupe, and Ivory White/Black for the Roadster can be seen, with an optional Halo interior trim comes with a cloth/leather upholstery in a Carum/Dalbergia color scheme. 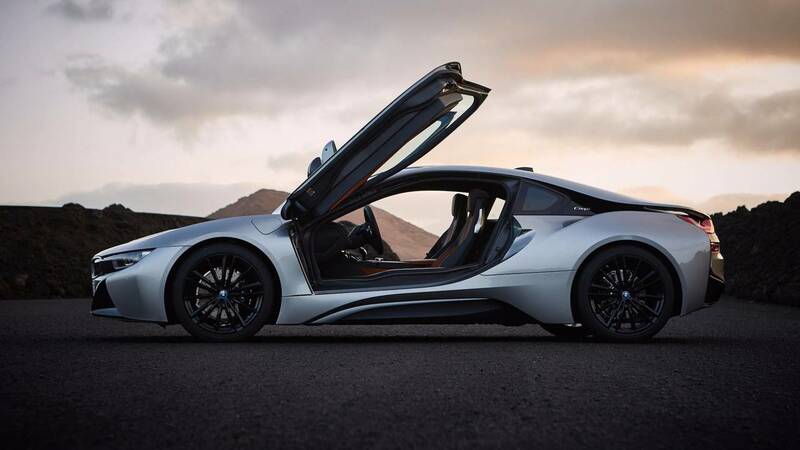 The new BMW i8 will be shown at the Los Angeles Auto Show before going on sale in sprint of 2018. Pricing details will be announced closer to the vehicle’s launch.